Maintaining a good marriage is a lot like baking a good cake: the outcome is 70% the quality of the ingredients, 25% the skill of the baker, and 5% luck. Therefore, most of the requirements for a long and happy marriage are within your control, so it pays to work at keeping your relationship healthy. Keep these suggestions in mind to help you and your spouse manage relationship conflicts, financial issues, and family dynamics so you can stick together through better and worse. 1. Maintain realistic expectations. Getting married doesn’t automatically make you happy, but it can add to your contentment in life. Expect to run into some conflicts and hard times. You won’t always agree on everything, but you can make a commitment to deal with your conflicts constructively. 2. Focus on the good qualities that your spouse possesses. Your spouse will have habits that annoy you, but happy couples focus on the things they like about each other. Learn to overlook minor irritations, like leaving the cap off the toothpaste, and pay attention to qualities that matter more, like integrity and kindness. 3. Express your appreciation for your spouse. Be generous and specific about praising your spouse. For example, let your husband know if he made a busy week less stressful by volunteering to do the grocery shopping without you. 4. Show your affection. Keep connected through frequent gestures of affection. Greet each other with a kiss or a hug even if you get home from work in a bad mood. Best-selling author and marriage counselor Gary Chapman has identified five love languages. They are Words of Affirmation, Quality Time, Receiving Gifts, Acts of Service, and Physical Touch. To read more about this, get a copy of his book The 5 Love Languages: The Secret to Love That Lasts. 5. Be supportive. Feeling validated and supported is one of the most important benefits of marriage for many people. You can’t always solve each other’s problems, but you can be a good listener and reassure your spouse that you care. 6. Address conflicts constructively. Practice patience with one another. Look for constructive solutions together. Find ways to defuse your anger so that it doesn’t sabotage your relationship. 7. Maintain your own identity. Enjoy your unity, but still be your own person. Maintaining your own friends and interests will help you feel more interesting and actually make your marriage stronger. 1. Find your comfort level with merging your finances. Joint accounts make sense for most couples, but find the arrangement that suits you best. You may want to share your primary accounts and keep some funds separate to spend on your own. 2. Keep your debt under control. Debt can be an emotional and financial burden. Try to live within your means. If your partner has substantial pre-existing debts, you may want to make a formal plan or even sign a prenuptial agreement. 3. Stick to a budget. Approach major decisions about spending, saving, and investing together. You’ll probably have different priorities, but be respectful of each other’s preferences for expensive electronics or weekly manicures. 1. Share the responsibility for parenting and housework. In the end, pitching in with the household chores will bring you closer together than the occasional candlelight dinner. Both partners have a contribution to make when it comes to children and housekeeping. 2. Agree on your expectations and discipline for your children. Children learn very quickly the game of divide and conquer. You and your children will be better off if both parents provide consistent guidance. You can always make exceptions when needed, but act together. 3. Work at getting along with your in-laws. Put your long-term harmony above relatively petty disputes. If there is a serious matter that affects your children’s welfare or your own peace of mind, it’s usually most effective for your spouse to approach their own parents directly. Making your marriage last can enrich your life with intimacy, companionship, and opportunities for personal growth. 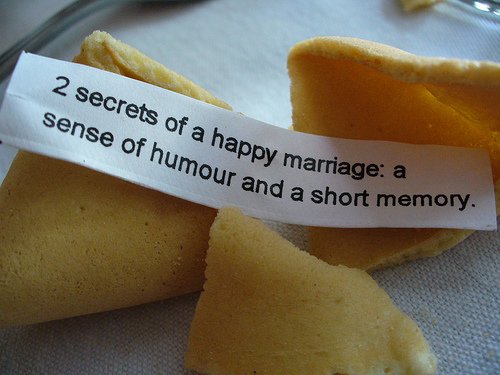 A happy marriage adds so much to the quality of your life, and makes all the time and effort you invest worthwhile.